With a little bit of rabbit-raising experience under our belts now, I thought I’d share what we have learned so far. It seems there are nearly as many kinds of rabbits as there are cats. Minis, giants, solids, spotted, floppy ears, special fur, even wool! Rabbit breeders often “specialize” in one or two breeds of rabbits that reflect their interests. Some are looking to preserve a rare breed. Many want to show them and possibly breed a new color or type, hoping to get them accepted into the national standards. A few raise them as a commercial venture to supply either laboratories or fur purchasers. We know a family who sells every spring rabbit they have to photographers for Easter photo shoots. Some knitters delight in the long wool-like hair of Angoras for their yarn spinning. Children often raise them purely as pets. Probably the majority though, raise rabbits at least in part to provide protein for the table. Which breed should I choose? 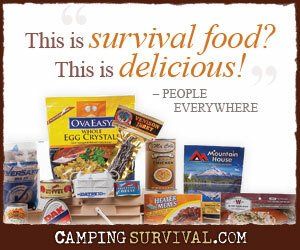 If you are a prepper with an eye towards future sustainability, I will assume that one of your main goals is to have a dependable source of meat for your family. With that in mind, you can eliminate quite a few of the breeds immediately. Many are too small to be practical. Others have a poor feed to growth ratio, meaning they are not very efficient eaters- you will have to supply them with more food than other breeds, yet get less meat. Some, like the Flemish Giants, seem like they would be the obvious choice, but it turns out that quite a bit of their growth and weight is in bones rather than meat. That leaves you with a simpler, yet varied list from which to choose. This is not an exhaustive list, but these are the mainstream breeds that you are most likely to find available for purchase. All of these typically have a live weight of 10 1/2 to 12 pounds when full grown. They reach “fryer” weight (4-5 lbs) in a relatively short period of time (often within 4 months). Of the listed breeds, the top two are New Zealand Whites and Californians. A close third, though not on the list because of a slighter build and smaller weight, is the Florida White. One of the main reasons those are the top breeds is because they all produce a white fur pelt which can be dyed. This makes them attractive to more than just the back yard fancier. You do not need to be restricted to these for your needs. At present, we have Californians. These are attractive white rabbits with black or gray “points” (ears, nose, feet, tail). We decided on them because they are multi-purpose, were availability at the time, and a reasonable distance to a breeder with good stock. As with many new projects, the learning curve can be steep. Our rabbits came from a man who had been raising rabbits for 30 years. He probably had 75 Californians in his rabbitry and a lifetime of knowledge. What didn’t occur to us until later is that, with so many, he did not handle any particularly often. What we now have is several rabbits that are nearly wild. The children cannot handle them alone. I don a long sleeved jacket (yes, even mid-summer!) and gloves to pick up and transfer the does from their cages to the buck’s. I’ve had more bloody scratches than I can count and been bitten too. Lesson 1 – Purchase stock that is very docile, preferably someone’s pets. Lesson 2 – Act calmly around them. Let them see you coming, talk to them, handle them even when you don’t have to move them, most conveniently at feeding time. Lesson 3 – Earn the trust of the rabbits if possible with treats out of your hand, brushing, etc. They see you as a predator and try to flee otherwise. Lesson 4 – Just because they are rabbits doesn’t always mean they “breed like rabbits.” You’d think that would be the easiest part but, surprisingly, things like excessive heat can prevent fertility and successful pregnancies. Lesson 5 – Change course if necessary. This last point is where we are. The rabbits presently in our rabbitry probably won’t have long lives here. We may keep and gentle 2 does out of the offspring and then find a new buck (though many rabbit breeders “line breed” the female offspring back to their father). Alternately, we may replace them all with a different breed that meets our needs. One of our daughters would very much like to raise some that have the special soft fur so we may look into getting Satins. In the meantime, we will see if we can recoup some of the start-up costs with offspring from the ones we have. Laura, the billboard took me back to the area where I grew up! Do you know where this is taken? Too funny. It does look like a billboard along a highway out west, but I actually don’t know it’s location. Joe is able to get photos online for most topics we write about (so only the poor quality photos-like the plantain pictures- are the ones I took 😉 ). Thanks for the encouragement. I’ll check with Joe to see when the next rabbit one will be posted. We try to vary topics so that if someone isn’t interested in one thing, the next day may be more useful. Am thinking about getting a couple rabbits for meat, but would also love to be able to use their fur for knitting… I am near Chicago in an unincorporated area… any suggestions on breeds? Unfortunately, I am not yet a knitter so this is not an area I have done a great deal of research or compared notes with people about. From my general study of rabbits, I know that Angora is a very popular type of fur (wool). Here is a website that may help some.